Smiling in Blackpool (just don’t mention the cost of parking). 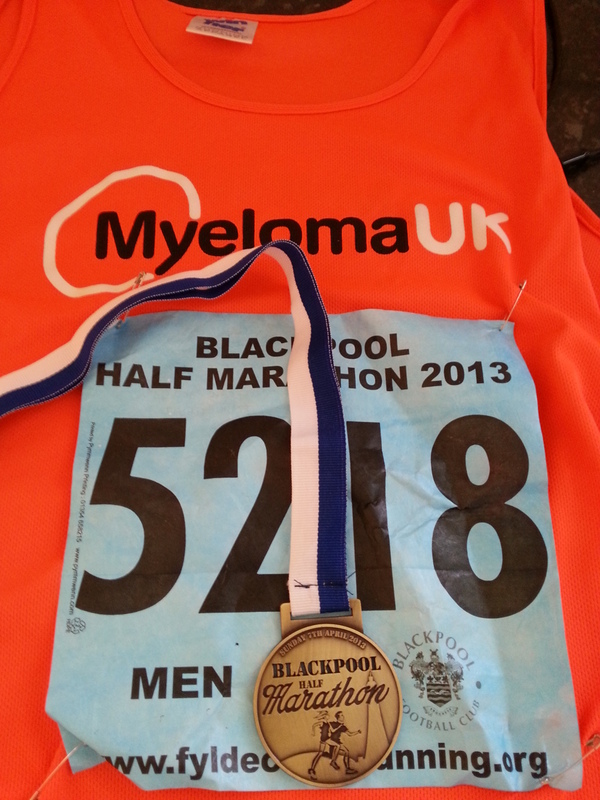 Today was Half-Marathon race #4 – Blackpool. With a 9.30am race start this involved getting up very early on a Sunday morning which wasn’t much fun. But I managed it even though the cat clearly had no intention of doing anything more than rolling over. I must point out he was sleeping on the floor in another room – otherwise there’s a potential risk of misunderstanding…….! Anyway, I was parked up by 8am and needing a stiff drink when I realised the parking was an eye-watering £7.50. You’d think they might organise parking costs within the entry cost, but clearly this wasn’t the case. We were similarly non-plussed with the start as well, with lots of runners crammed into a small space under Blackpool FC’s tunnel making for a pedestrian start. Gripes over it was a good race, well marshalled and (save for the start line and parking) well organised. The weather was kind today. Despite waking up to a frost it was a good running temperature and the winds had dropped. The sun never quite burned through the clouds which was good from a running temperature point of view and the crowds were great with their support. At about the 3 mile mark I ended up running with one of the marathon runners (there were two simultaneous races today) and it was quite pleasant to be able to run with another person at a mutually comfortable rate. We parted company at the 11 mile mark as he conserved his energy for another loop of the circuit and I increased my pace slightly. As I came into the stadium I was announced as the runner who had smiled throughout the race. I hadn’t realised they were watching! But it was a good day, a suitable pace and a comfortable finish. I can’t help smiling when you get that level of support – how can you look sulky when people are cheering you on. And I always make a habit of thanking them for that support – they don’t have to do it, they choose to. I haven’t got the chip time yet and there wasn’t a visible clock on the finish line (spoilsports!) – my watch recorded 1h36m53s which is probably a reasonable approximation of the gun time. However the chip time should be a bit quicker as I started my watch when the race started due to it struggling with the GPS signal in the tunnel! Got home promptly and sat in the garden for a couple of hours which was very pleasant – something of a novelty in recent weeks as it’s been far too cold. 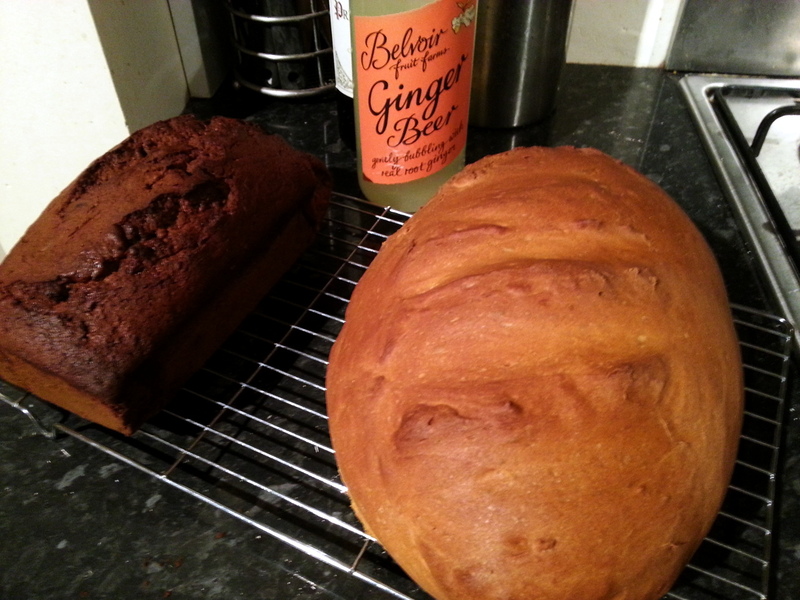 I even indulged in some homemade bread and ginger cake. Well it would be rude not to, wouldn’t it? 1 Comment on "Smiling in Blackpool (just don’t mention the cost of parking)." The chip time has been confirmed at 1h36m02s and I was 124th over the line out of 1048. Slightly slower than I’d hoped but it was a much better paced run than a fortnight ago, so I’m happy.